Uncertainty brings obstacles that need to be overcome. Most of those decisions happen unconsciously, but often, bigger decisions have the capability to consume us; to overwhelm us. We can start by asking “why?”. Why do I want this to happen, or not? How does this situation affect myself and others? What will happen if I say “no”? Remember, perception is key. We need to see as complete a picture as possible when answering these questions and that often means looking through a different lens that the one we’ve been trained to look through. Part of what causes our concern when faced with a difficult decision is the uncertainty that comes with it. You can go along way toward alleviating that uncertainty by digging deep into what it might look like if things don’t go the way you want them to. What will it look like if this doesn’t work? You might decide the downside is too great, that it’s not with the risk versus the reward, and if that’s the case, make your decision and move on. Remember, you’ve got another 34,999 decisions coming your way, and that’s just today..
Here’s a real life example for you. 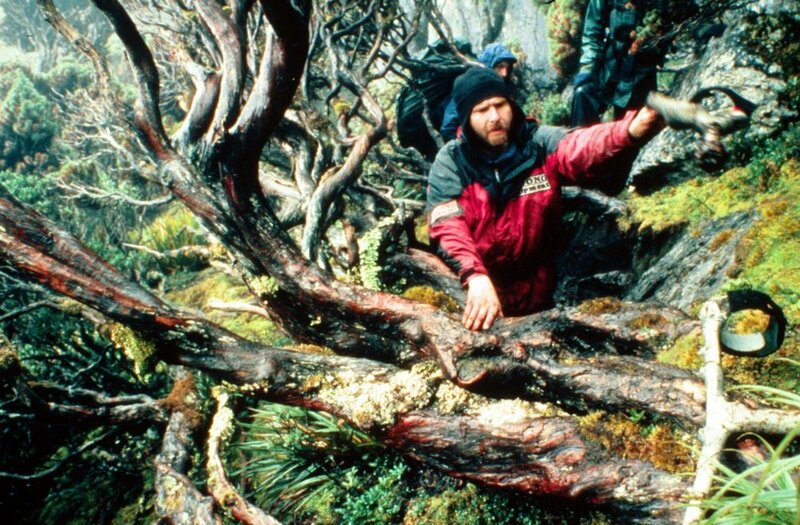 In 1998, after climbing Cradle Mountain, a friend Gary Caganoff suggested I climb Federation Peak. I thought he was nuts, in the beginning… Over time I realised it was worth a shot, and began putting a plan together. That’s not very supportive, I thought. Over the following days I considered John’s words carefully, then decided we we’re going anyway. I knew it would take me a couple of weeks to reach the Four Peaks. By the time we reached the peaks, I would have learnt to navigate terrain unimaginable until encountered. I would be fortified by the experience of facing hardship with each and every step away from the comfort of home we take for granted. As expected, it did indeed take just over two weeks to reach the Four Peaks. As expected, the terrain did indeed resemble a saw tooth. When we weren’t climbing, we were descending. There was almost no flat ground, definitely nowhere big enough to put up a tent; as John had relayed. John knew the trail well, having been in there a dozen or more times. And each time he saw through the same lens. Do you think that lens included being on the lookout for a tiny piece of flat ground; a piece of ground just big enough for a guy who’s now 3’ 11” to lie down and sleep? We can only see what we can see. We can however change how we see. If we’re prepared to look through a different lens, we can see through a new set of eyes. We can see opportunity where others don’t. If that opportunity passes the “why” test, we make our decision, and we go. I love this Warren! Seeing through a different lens!! I’ve made so many decisions based on fear! The sum of my experiences, although not physically visible, the emotional trauma has left me debilitated for a number of years. I’ve read and heard many motivational speakers but this really speaks to me! Listening to others perceptions but seeing outside of their lens! Moving forward no matter how scary, the journey is the reward!!! Glad you like it Lori You know, I’ve been talking about perception for years now and every now and then something happens to make it even clearer to me just how important how we see is. Seeing your comment here just did it for me again Thank you!